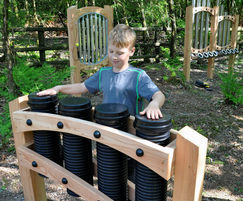 Large scale musical instrument consisiting of four robust drums made from tough recycled plastic, set within a crafted timber frame. 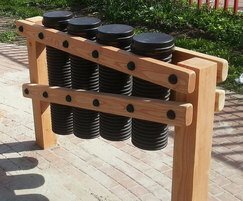 Playable from both sides and suitable for up to 4 players. 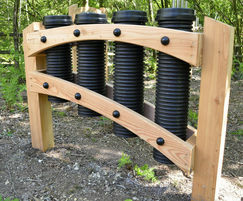 Postsaver sleeves pre-fitted to all posts. 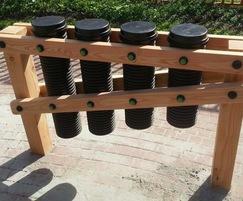 Supplied as easy install items, all fixings and plans provided. 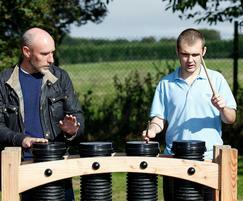 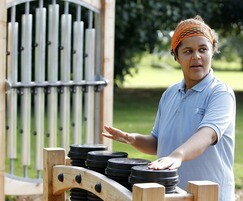 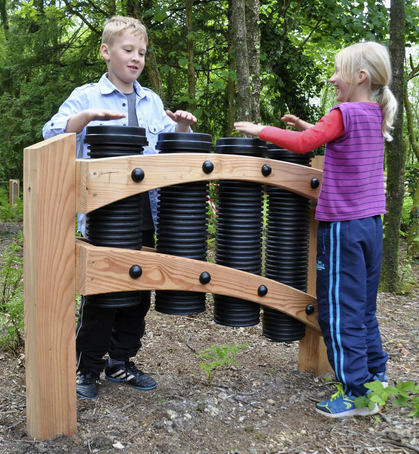 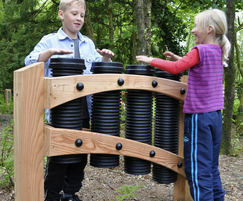 Suitable for creative musical expression in a variety of places from schools and playgrounds to carehomes and sensory gardens.